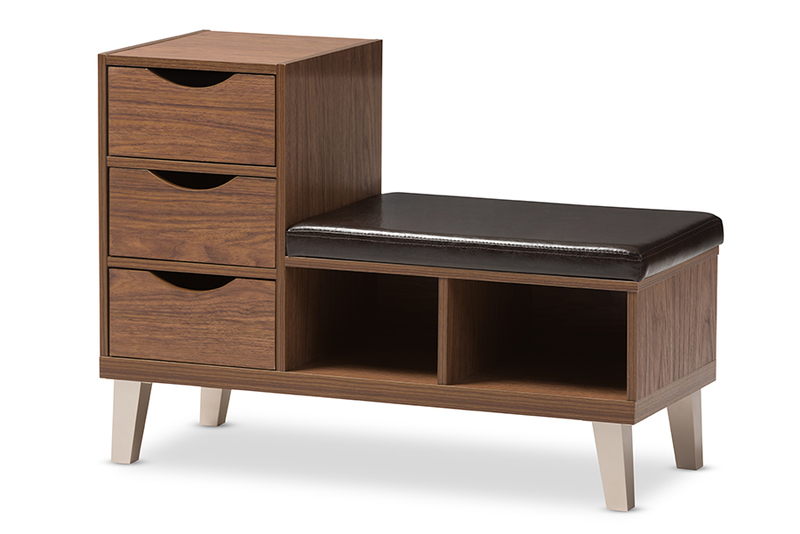 Simple and architectural, the Arielle 3-drawer shoe storage padded leatherette seating bench is reminiscent of modern and contemporary design. 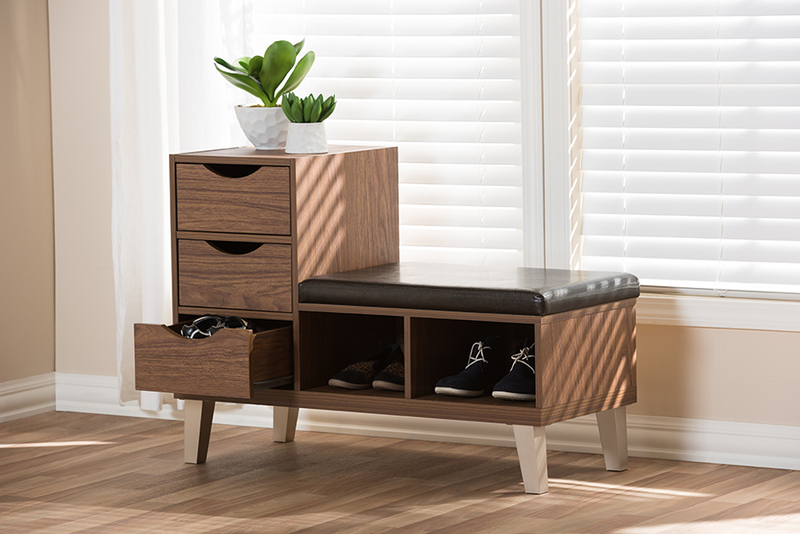 The Arielle’s clean and functional design features powder coated vinyl legs supporting the framework of the seating bench while providing storage drawers for hallway essentials. Three generous sized storage drawers and two open shelves are built in providing storage solution to keep your entryway or hallway clutter free. 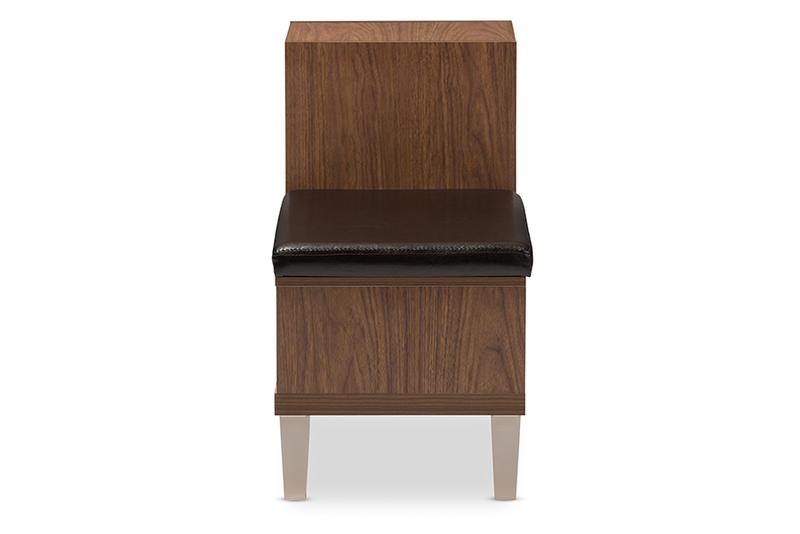 Crisp, clean lines and finger grooves drawers give the shoe bench an effortless character and charm. 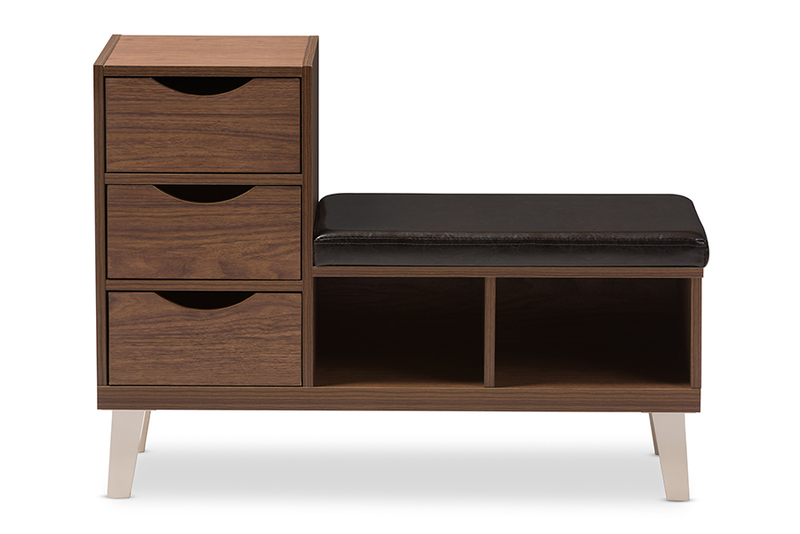 The shoe storage bench, constructed of engineered wood and finished in walnut finishing will match with your modern interior decor. The Arielle bench, padded in foam and upholstered in faux leather, could be placed in your living room or entryway as shoe storage bench or seating bench. Made in Malaysia, the Arielle requires assembly.